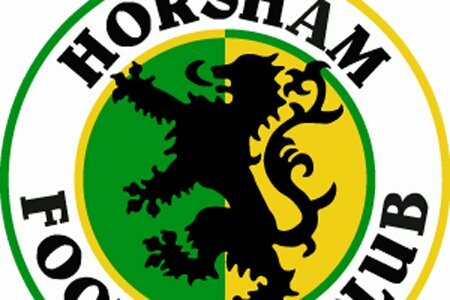 Committee Chairman Sean Bravery sat down with Matt Dale to discuss his thoughts on Horsham’s season so far, and his hopes and expectations for the club as we near the completion of our new ground. With the season now firmly underway as we head into November, Sean revealed he had been pleased with what he had seen so far as the campaign takes shape stating with confidence “I’ve been quite impressed, it’s probably one of the best teams we’ve had for a number of seasons, at first it took a bit of time for the lads to gel which is understandable considering we had about eight or nine new faces this term, but we’ve had some impressive results. We’ve shown that we can be as good or better than teams like Carshalton, and at times we’ve played well and played some great football”. 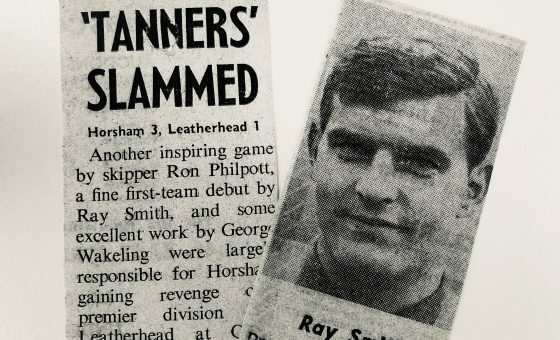 Reflecting on an early blip in form he lamented “I think we’ve been a bit unfortunate again with injuries to some of our squad, and when you consider we did have a big shock against Haywards Heath that took us a while to get over, but that aside we’ve competed well and looked good even in defeat”. Epitomising the thoughts of his fellow supporters, Sean concurred that the performances from Dom Di Paola’s side had given a new sense of expectation to the fans as he explained “We appear to have a bit more about us this year, with players of a high calibre at the club. Dom’s obviously worked hard to bring in a fantastic front line of Chris Smith, Rob O’Toole and then the likes of Jack Brivio and Tyrell Richardson-Brown have come through. They all look like lads who will work hard for each other and win us games. 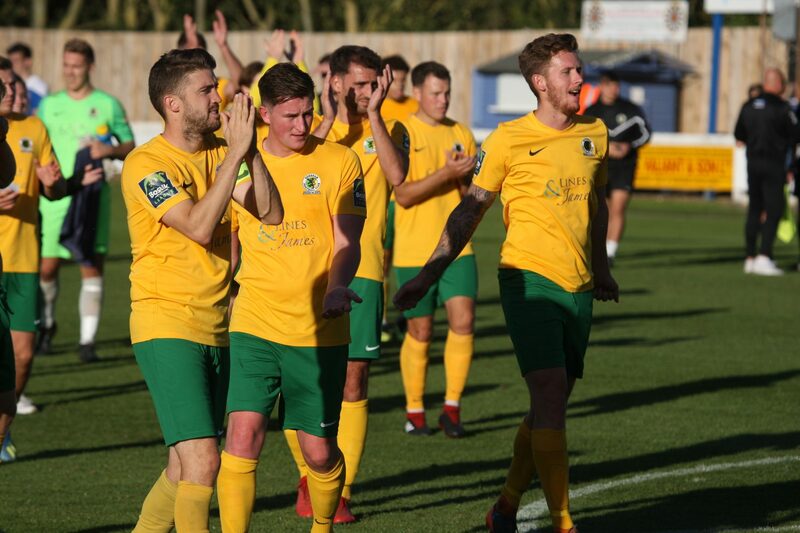 I don’t think there is any fear of us playing teams this season, even clubs like Cray Wanderers or even Hastings United who you have to admit are probably going to be right up there this season – we look like a side who will take them on and go there looking for a result”. 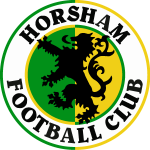 It is perhaps testament to Sean’s popularity amongst the club’s supporters that he is careful to avoid sounding bias when talking about the club he loves so dearly after beginning his association with The Hornets in the mid 1990’s, carefully choosing his words as he’s asked just how high he can see Horsham faring come the end of the campaign. “Well, obviously as a fan I want to see the club win every game and finish as high up as they can, but we’re still a club who are building – quite literally – I’ll be happy with a top ten finish if I’m honest, but it would be silly to say I don’t want the club to finish as high as possible. I think it’s important the we finish strongly in the league and go into the new ground next season looking to improve on that, and we’re playing some good football right now, so there’s no reason to think that’s not achievable”. It is a future that Sean is determined to see is done right, as he explains how he believes the club can unlock it’s full potential at the new ground as he explains “with the ground will come a strong first team, and back up teams for the future. 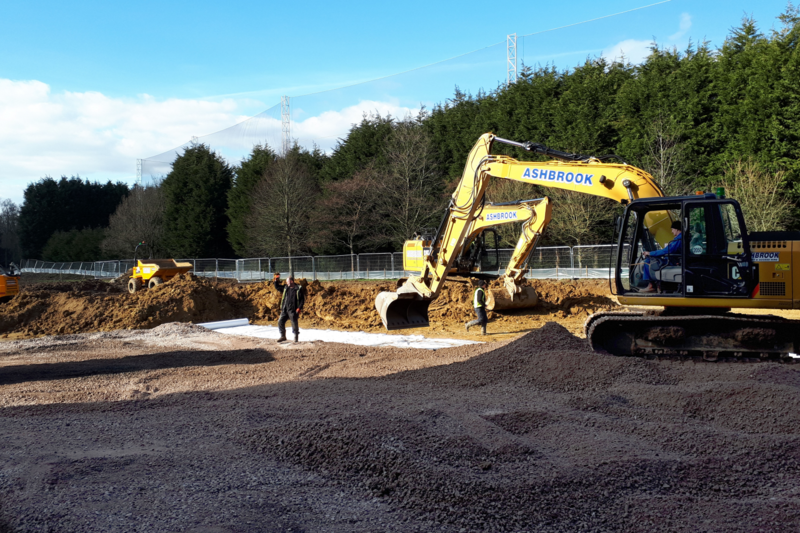 The youth clubs and the first team will be intrinsically linked together thanks to the new ground and with it will come a ‘One Club’ mentality which is what every club aspires too, but without a ground of your own, it’s hard. We’ve had to play on the generosity of others in the past to get things together and that has perhaps fragmented things a bit, but bringing it all together again will be so important. We now need to think about the roles people will need to play at the new ground and how to use that to take the club forward”. Focusing on the people at the club is clearly something Sean has considered, as he aspires to utilise those around the club to help drive it towards the future “having more people watch us and enjoy the club will no doubt help us to increase our volunteer base. 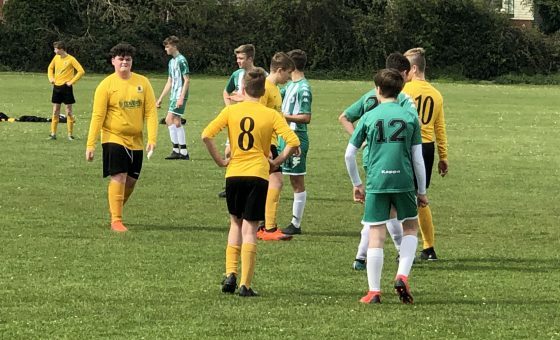 Having the youth team set up more closely will bring the parents and families of the youth players more closely linked to the first team and visa-versa. Naturally, people who want to help contribute to the club will be down to how involved they are able to get, but the Club Committee are looking at various ways to see how we can embrace that going forward. The key thing is to get everyone at the club and bring them together”. Sean is well aware of the possibilities and the opportunities the new ground will create for the club, but he remains firmly rooted to the ground and is eager not to get too carried away as he explains “Fundamentally what we are about, is a football club, but we are going to have a clubhouse that can be hired out, we’re going to have the facilities to allow us to be more to more people and it’s important we get that set up the right way. We’re going to review what we can offer and make sure we can walk before we can run. In my opinion, our priorities have to be towards the footballing side of the club and making sure we’re financially sustainable”. Questioned on how he sees the challenge of a likely rise in interest in the club when the doors are opened, Sean is keen to ensure that supporters, new or old are enticed back and the club can capitalise on expanding its fan base, musing “we need to make sure the match day experience is the best that we can provide to every supporter. It’s important that we make them safe and feel a sense of belonging and having a facility where so many people – and in particularly, children – are seeing and experiencing football and all things HFC will get them in. The club needs to make sure we harness that sense of belonging and association and to do that, we as a club need to engage as many groups, societies and schools and try to attract them. Some of the work we’ve done in the past has been geared towards that, but when we get back to the town we will have the chance to enhance those relationships. Having the club based back in the town will give people the opportunity to get more involved in football if they’re interested”. It’s hard to disagree with any of Sean’s expectations or ambitions he has, but understandably while he is keen to acknowledge the fine future the club is shaping up for both on and off the pitch, he is eager to focus on the now and see attendances improve as the club reaches its ultimate objective. Issuing a heartfelt plea to supporters he rounds off our interview saying “Obviously the gates are what they are at the moment, they’re not fantastic, but I thoroughly appreciate all the efforts that people are making to get to games. 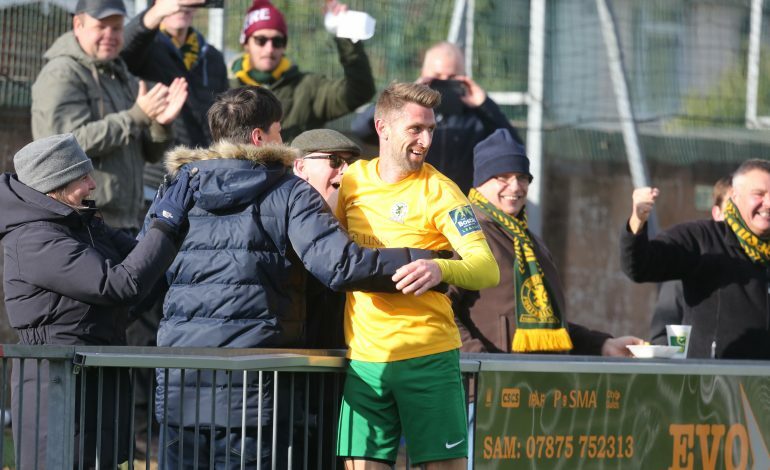 It’s a big commitment to make to get to Lancing – it’s a full day out for a lot of fans – we’ve seen the attendances drop and we have to accept that that’s going to happen given our circumstances right now. There are a number of incentives to get supporters down to the ground, but my main message would be to our supporters who haven’t come down yet and perhaps have been thinking about it is that we’re playing some good football at the moment and what ever support you can manage is really important and all about giving that lift to the players on the pitch fighting for us. The light is at the end of the tunnel and things are happening”.